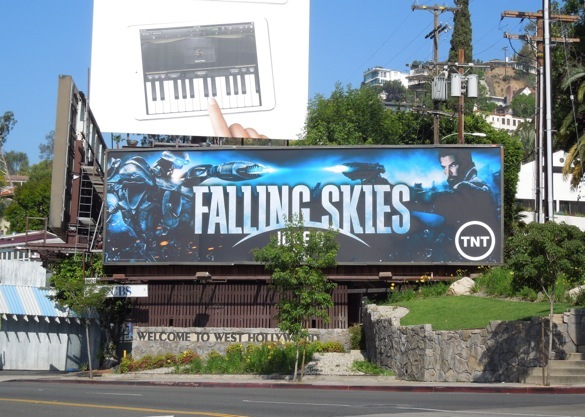 Just when you thought things couldn't get more complicated in the world of post-alien invasion Earth, along come another set of extra-terrestrials to keep you guessing. 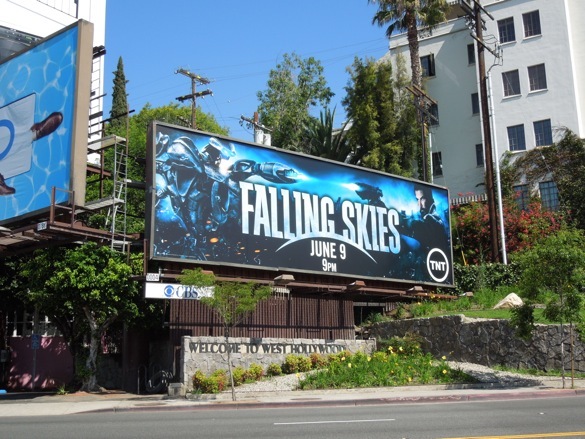 The end of the second season of Falling Skies posed the frustrating question, are these new arrivals friends, enemies or frenemies?!? 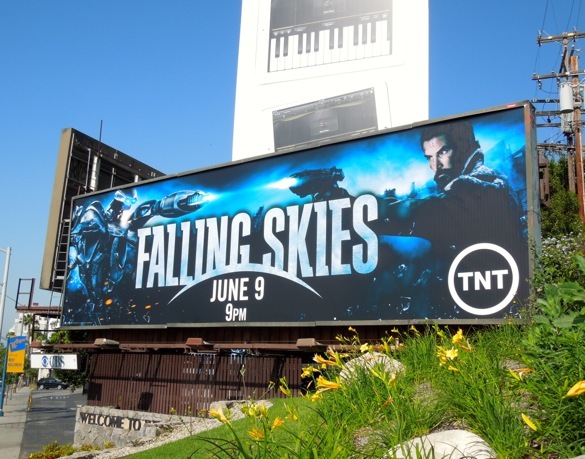 This latest creative for the series showcases Noah Wyle as resistance fighter 'Tom Mason' in full on ray gun sci-fi mode, once again battling for the fate of his family and the whole world. 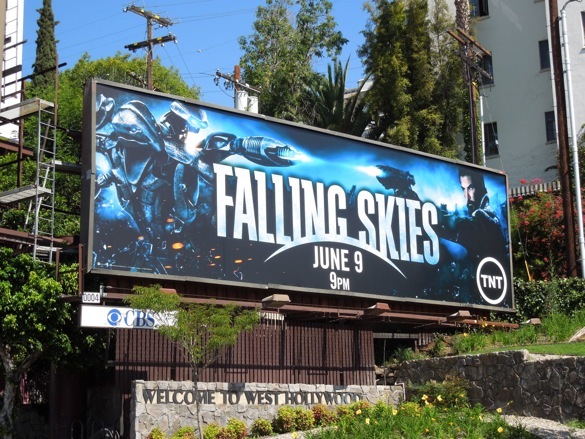 This third season Falling Skies billboard was snapped along Sunset Boulevard on May 11, 2013. 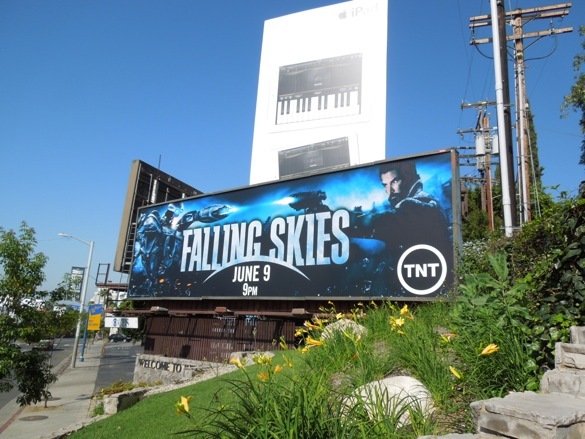 If you're a fan of the show, be sure to check out these geektastic season one Falling Skies billboards and season two billboards from around L.A.